Some people struggle with remembering things in the short term. In students' cases, it can affect their school performance. As a parent, you can help out. Have you noticed that your child has trouble remembering instructions? If they find it hard to remember what they were doing after a distraction, they might have a problem with their working memory. Don’t worry, no one is born with a strong memory, but it’s something that can always be improved. Try these tips. Divide information into small chunks: It’s easier to remember small pieces of information than one, huge chunk of information. When you want your child to remember something or do something, give them the information in short and concise sentences. Even better, write it down. Make connections: Help your child make a connection between what they know and what they’re trying to learn. You can help them relate their learning to their personal experiences. Superfoods: Food has a huge influence in your child’s life. It affects their weight, skin, sleep, and learning. The right food can improve your child’s memory and concentration. 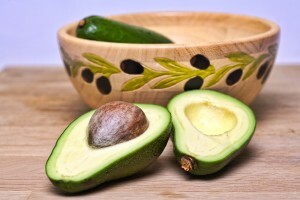 Try adding some superfoods such as avocado, salmon, blueberries, dark chocolate, and leafy greens to their diet. Music and rhymes: For auditory learners, it’s easy to memorize songs. So if your child is struggling to remember some information, turn it into a song. If your child has been struggling in school, it might be because of their bad memory. Tutoring can help give their memory a boost, raise their grades, and make them all around better learners. Call The Tutoring Center, Fulshear TX at (281) 346-8120 to learn about their tutoring programs.